There are people in our world today and unfortunately in our political system, they do not believe in evil. They have the modern, western, secular mind set. They don’t believe evil exists. They are exactly the ones who are in danger of getting blindsided by evil. Because they’re not prepared for it. 1) No one is beyond the reach of God’s grace (vs. 17-19) – Paul is talking to people who were at one time just like those described here – separated from God, ignorant, hard hearted, darkened in their understanding of the gospel, engrossed in sinful lifestyles. And yet, God brought about transformation in their lives through the proclamation of the Word that pierced their hearts. This is good news as we look around and see people who “seem” beyond the reach of God. We must never forget that God can change even the most hardened heart. 3) If we have been changed then our lives should look like they have been changed (vs. 25-32) – Paul points out a few areas here that ought to look different. Our speech should be different – no more lying, no more irrational outbursts of anger. Instead our mouths should be used to encourage and build others up. Our lifestyle should be different – as new creations we should display kindness and compassion to others. We should offer forgiveness to others. We should love others not fight others. What Paul is saying here is that Jesus makes a difference, He changes us! And if there is no change then perhaps we haven’t been changed. Reality check! Throughout Scripture there are several metaphors that are used to describe the Church. In this passage Paul uses the metaphor of the Church being likened to a body. And he gives us a picture of what a healthy body looks like. He discusses 3 things that need to be true for the Church to be effective in the world in which we live. Diversity (v 7-12) – Unity does not mean that people are all the same or robotically play follow the leader. Just the opposite in fact. Paul points out that people are very different and have very different giftings. And they are to use their gifts together to promote kingdom purposes that the church might display a diverse body united together for the glory of God. Maturity (v 13-16) – The bodies that God has given us are designed to grow. When that growth is stunted then immaturity results. This can happen both at the physical level as well as the emotional level. The body of Christ is similar. It will mature as it feeds on a healthy diet of the Word of God and as it “grows and builds itself up in love.” There are too many churches that have experienced stunted growth and thus display a gross immaturity that hurts the testimony of THE Church. The Word of God MUST be central. And believers MUST love one another if we are going to come anywhere close to “attaining to the whole measure of the fullness of Christ.” (verse 13). Hmmm… what do you think about that? 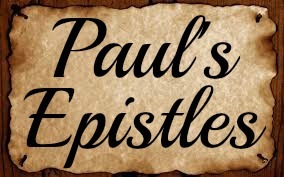 * So I am going to take a step back from my originally stated plan at the beginning of the year which was to tackle one chapter each week from Paul’s epistles. I’m finding that there is just so much I’m missing by trying to work through them at that pace. So I’ll be slowing things down. This week I’m going to ponder the last few verses of Ephesians 3 and then we’ll go from there. 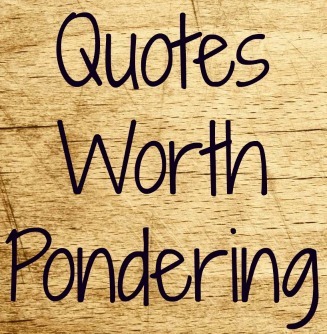 I hope you hang with me as the pondering continues. Question: What would “imaginably more” look like in your life – your job, your marriage, your church, your health, etc? I can imagine our church being fueled each week by the Word of God and filled by the Spirit of God – then leaving here to pursue a lifestyle of worship evidenced by a life of obedience. I can imagine 100 new believer baptisms each year as a result of the seed planting, watering, and harvest work taking place as our people are intentionally bearing the gospel to a lost and hurting world. I can imagine our classrooms full to overflowing (and our people not complaining about it) because 1000 people are gathering each week in our Connect Groups as they experience the authenticity of true community. I can imagine our monthly “Call to Prayer” gatherings filled with so much Spirit-led energy that no one is looking at the clock wondering when it will be over. I can imagine a Lottie Moon offering of over $100,000 because our people have a God-drenched vision to take the gospel to the nations. I can imagine our church sending out 100 young men and women over the next 10 years to plant churches both domestically and internationally. I can imagine a lot more.